As the days get colder it’s nice to be reminded of warmer times and no better way than with a reminder by some of the best car wash scenes in movie history. Watching scantily clad ladies do their best to wash and wax your vehicle probably goes back to the movie Cool Hand Luke, when the chain gang witnessed the girl washing her car and the gang were transfixed. Mixing in the common sight of a car being cleaned which everyone can relate to mixed in with a hot girl is a heady combination that the movie industry have repeated time and again. It may seem a cliche now, but back in the day it was a big talking point could double the numbers of moviegoers. These scenes started out as just small parts of a movie until they became the main theme such as 2015’s All American Bikini Car Wash and the equally cringeworthy Car Wash Babes. However, the other scenes use the clips to aid the storyline in the most part, along with giving the viewer that rise in adrenaline. 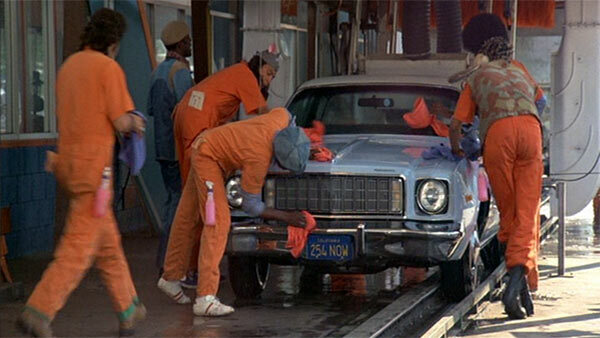 Therefore, here are some classic clips from movies which feature car wash scenes for your enjoyment.